William Rodriquez III, born in 1980 was already collecting 45’s by age 4. His style of djing, producing, remixing and creating beats was influenced by the various sounds of music he was listening to at this young age from his parents and family. His dad introduced him to the underground sound of Cerrone, The Blackbyrds, Brass Construction, Gino Soccio and Loose Ends. His mom introduced him to Donna Summer, Boz Scagges and Stevie Wonder. By 1990, he learned to play the keyboard by ear and was introduced to the sounds of Hip Hop by his brother playing music by NWA, Boogie Down production, Kwame and EPMD. During this time he also enjoyed the sound that New Wave music created. This rich musical background influenced Will to make his own beats with two tape decks and his keyboard. By 1992, he got his first turntables and was introduced to the sound of deep house. His cousin Victor played music by Groove Committe, early Strictly Rhythm and Nervous Releases., This vibe had a lasting impression on William and he was soon playing his first gig at age 11, and for the forthcoming years made a name for himself in the LA scene, spinning both hip-hop, rare groove and house at underground clubs and partys. Will’s music production was also taking off, after updating and advancing his studio set up he quickly found a groove that has stunned the world over. His debut release Take me to a Place was signed by Frankie Feliciano for his critically acclaimed Ricanstruction Label. This was quickly followed by a string of remixes for Sole Channel NYC, Home Recordings in Toronto, Mn2S in England and Uk Basic in London – rocking dancefloors and radio waves wherever they were played. Will is now hot property, and finding his production and DJ skills in high demand. Listening to the sounds of Blaze, DJ Spinna, Mr. V, Alix Alvarez, Osunlade and MAW only encourage Will to create more music and push more boundries. 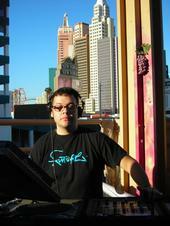 He is a large collector of vinyls and plays Disco funk, House, Garage and Deep. He is the wisdom behind the group; One of his many highlights include playing at the 2001 Gay Pride in Marseilles where he managed to get over 4000 people dancing before playing again 100km away and two hours later, a now mythic mix on the beaches of HyÃ¨res during the After Off for the Aquaplaning festival, in front of artists and other professionals of the music business. He has hosted a radio show with Dj Bool on Radio Active and organised with the latter and another DJ the Change various parties in 2004 and 2005. At present he is the resident DJ at the Bar / Restaurant / Lounge La Vague in Six-Fours.